Rivers State chapter of the All Progressives Congress (APC) has said Governor Nyesom Wike does not know his date of birth. Rivers APC, through Eze Chukwuemeka Eze, senior special assistant (SSA) on Media and Public Affairs and consultant to the state Chairman, Chief Davies Ikanya, yesterday in Port Harcourt said Wike had been parading three dates of birth. The Rivers governor, on Wednesday, celebrated his 50th birthday, having claimed to have been born on December 13, 1967. His friends, political associates, family and aides congratulated him. Rivers APC described Wike’s birthday celebration as that of treachery, deceit and fraud. It said: “It is unfortunate and sad that the almighty Governor Wike of Rivers State, who is today the ‘jewel and pride’ of the main opposition Peoples Democratic Party (PDP) does not know his date of birth. This may be shocking to the outside world, but APC members are not shocked, knowing his antecedents as a fellow who is capable of using any method, whether sinister, unholy, untoward or otherwise to achieve any task he sets his mind to achieve, including deceiving the world on his day of birth. 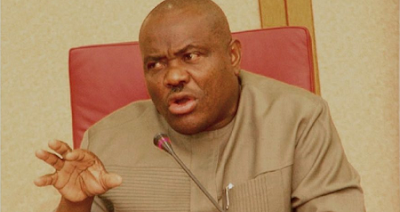 “We have read many birthday messages from his (Wike’s) family, political associates, among others, celebrating his birthday on December 13, while the documents he presented to Independent National Electoral Commission (INEC) and educational institutions on oath indicate that he was born on March 13, 1963 and not December 13, 1967, as he makes the world to believe. “Sadly, as if Wike is not contented with being born on two different days, the great Google claims that the Rivers governor was born on August 24, 1967. What a feat! An individual claiming three different days as his birthday.